Welcome to FUNdamentals for Kids! We invite You to explore the world of science from the select resources below. This site is for all parents and carers who want to help their children learn. It offers support, information and advice about your child's learning and the English education system. Also published in 11 minority languages & conveniently indexed by child's age. 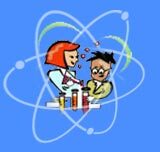 Lesson Plans, glossary of nuclear terms, references and games for Elementary to High School Students. All about Energy... classroom connection, energy quiz and lot's of fun and games! Featuring "Energy Ant" as your guide. A friendly portal through which energy and science education resources can be accessed and enjoyed. Select your guide... Electra, Geo or Windy and begin to explore this vast world of science! From Earth Science Enterprise NASA. Ton's of information, links, guides & games. Another great site from NASA just for Kids! Stories, Space & Beyond, NASA Toons, Our Earth, Rockets & Airplanes and games. Available in both Flash and standard versions. Games & activities, story time, science education, sign-alongs, riddles, jokes... and much more! Also contains Spanish & Text versions. Do you like to explore the world around you and find out how things work? Then this place is for you... from Girl Scouts USA! For those of you fascinated with Math... here's a feature titled "Daily Brains". A new math problem every day with answers and problem solving strategies. A super fun crossword puzzle from the fine folks at ScienceGeek.Net. This one even gives clues! FEEDBACK . :: Radiochemistry.org© - all rights reserved ::.